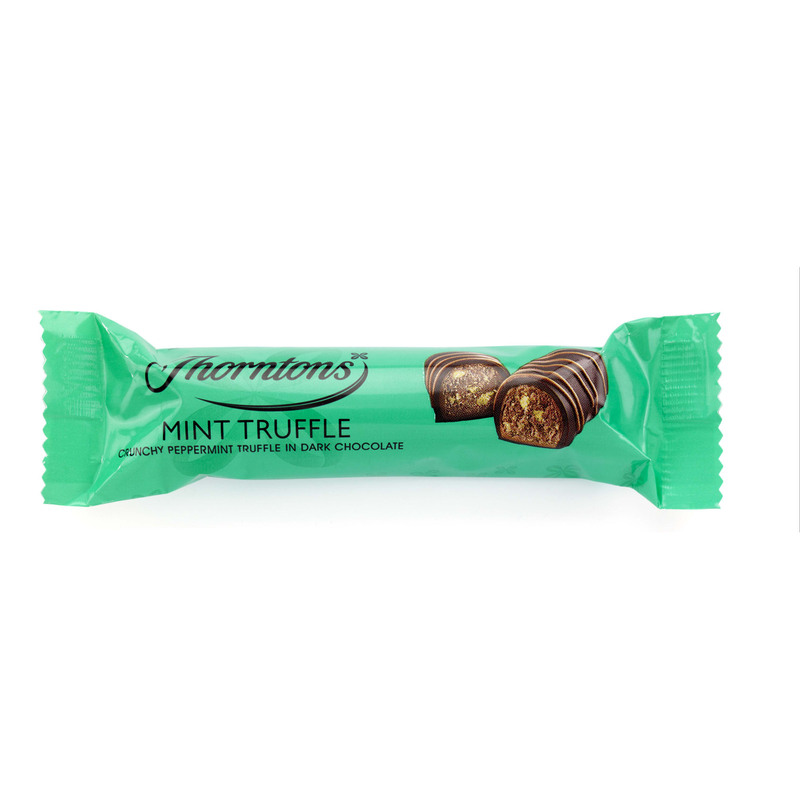 An exciting new addition to our Favourite Flavours bars collection, the Mint Truffle Bar is bound to delight fans of the delicious dark chocolate and mint combination. 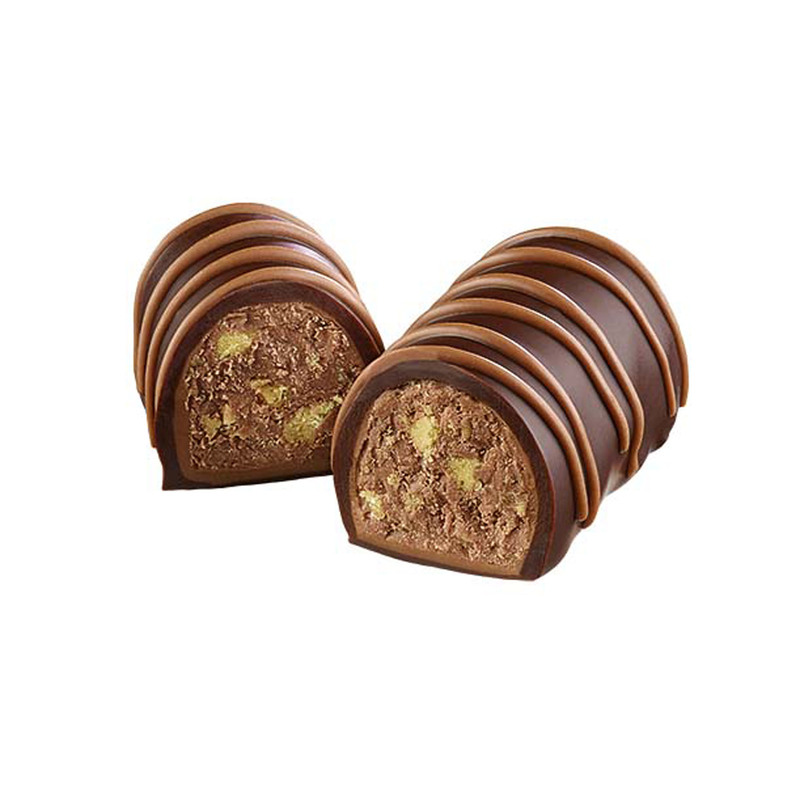 The smooth chocolate truffle is flavoured with cool peppermint oil, with mint pieces added for crunch, then the soft centre is covered completely in our rich dark chocolate. 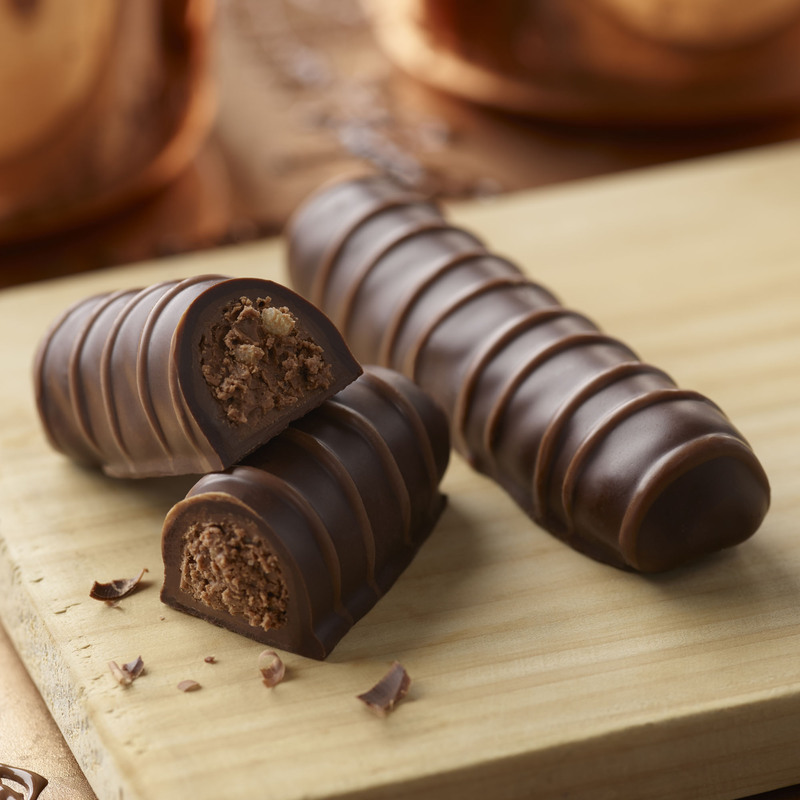 Milk chocolate decoration finishes this bar beautifully, making a marvellously minty chocolate treat that we’re sure you’ll love. Presented in gorgeous green new look packaging. Sugar, Cocoa Mass, Coconut Oil, Lactose (MILK), Cocoa Butter, Dried Whole MILK, Dried Skimmed MILK, Palm Kernel Oil, Fat Reduced Cocoa Powder, Emulsifier (SOYA Lecithin), MILK Fat, Flavourings, Colour (Chlorophyll).